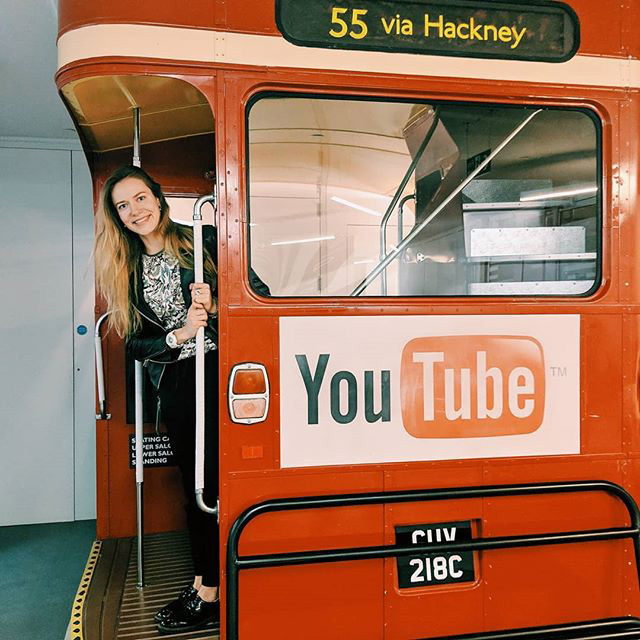 Here is a photo of inside the Google UK office showing a trolley or bus that has the YouTube logo on it. The bus has 55 via Hackney on the route sign, of course. Supposedly, they use this bus to have Google meetings. This photo was posted on Instagram. Update: This is a Routemaster Double-Decker bus.